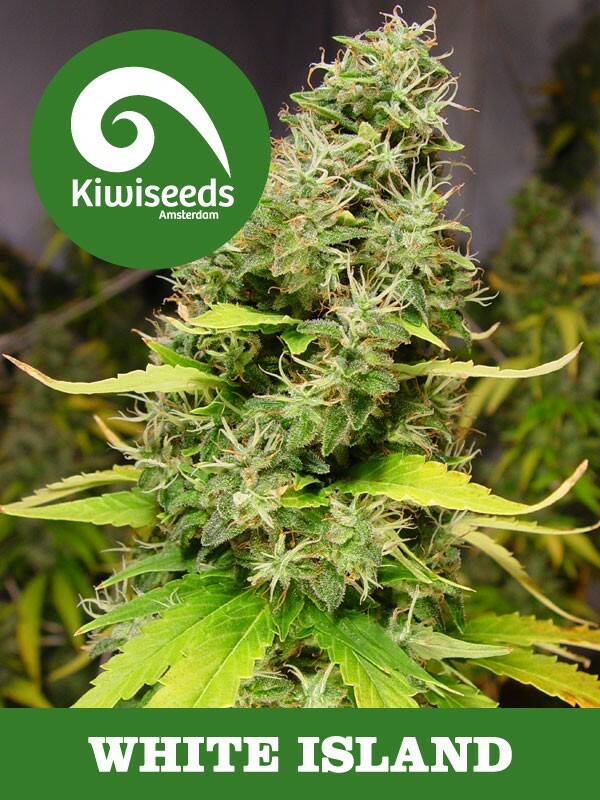 3rd prize – best hash strain – 420 growers Cup – 2007 ‘White Island’ is a straight F1 hybrid of the strong sativa strain ‘Mako’ and the very productive 'Kiwiskunk'. and was grown widely in the 80’s all over the of 'Bay of Plenty', a region that year after year surveys have shown produces some of the highest T.H.C content in Cannabis in the world! With the feminized version, you can grow as many plants as needed, knowing that they will all have beautiful flowers! The results speak for themselves. A plant with all the spicy sativa tastes of the bush, but not excessive with flowering times thanks to the Kiwiskunk influence. And what’s more it isn't a difficult plant to grow.